This was the first annual SpyCon at the Marriott in Alpharetta, Georgia and we had a blast! Its theme was all things James Bond, including two Bond women from Diamonds are Forever – Lana Wood (Plenty O’Toole) and Trina Parks (Thumper). What great ladies to meet! So easy to talk to! Then we had Bond cars, items, books, experts, and even a Bond Menu! It was fascinating to learn the behind-the-scenes info and to get to know the all the minute details that make the movies so extraordinary. Matt Sherman and his nonfiction, James Bond Cuisine – 007’s Every Last Meal! Matt Sherman and John Flynn are walking Wikipedias of information. Matt even does tours to the locations! Pease keep your eyes peeled for next year’s event! 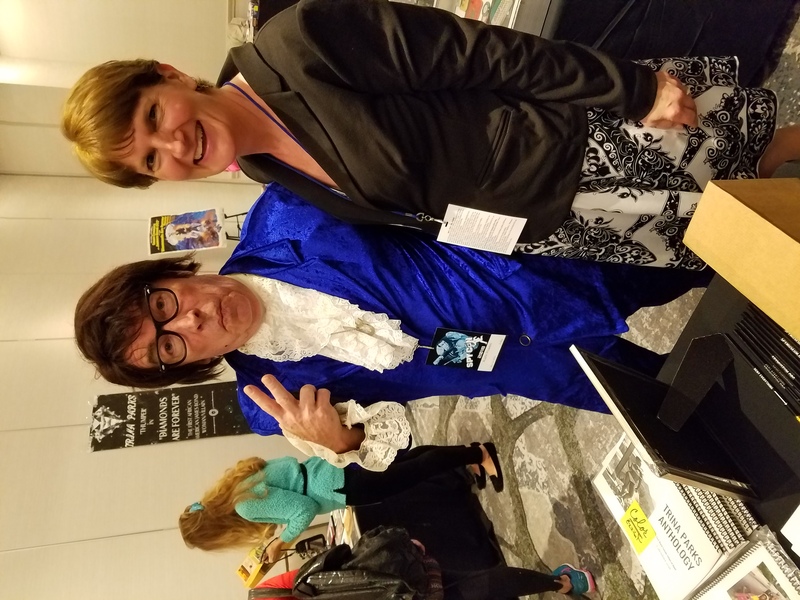 John L. Flynn, author of Everything I Know About Life I Learned From James Bond is schedule for two sessions and to emcee “My Life as an Agent’s Agent” panel at SpyCon, featuring his own agent, Jeanie Loiacono, President of Loiacono Literary Agency. Lana Wood speaking with a fan. This entry was posted in Uncategorized on April 2, 2018 by Jeanie Loiacono.